Do you need a tool as versatile as you are? The Ryobi 18V multi-tool has you covered. This tool is perfect for all those quick jobs around the house, where pulling out tool after tool is time consuming and really not necessary. A multi-tool can take care of a range of cutting and sanding applications. 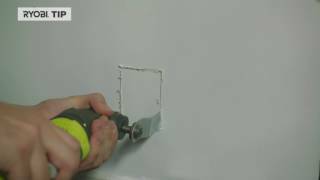 From wood to plaster to PVC pipes, this handy tool can get the job done. That's not all you get, though. This multi-tool is one of more than 50 power tools in the ONE+ range, meaning it is compatible with the Ryobi ONE+ battery pack. Forget buying a battery for each tool you purchase - save money and use one universal battery for all of your skins. Do you want to get your hands on the Ryobi 18V multi-tool? Get down to your nearest Bunnings Warehouse today! 18V ONE+ Multi Tool is rated 4.0 out of 5 by 1. Rated 4 out of 5 by Jusso from Fantastic versatility This multi-tool is one of my latest additions but I wish I had it long ago. It is great for trimming or cutting all sorts of materials in all sorts of situations. The attachments that come with it are also very useful however I would recommend getting a dedicated cutting blade, especially for wood. What I did that it allowed me to cut through wood like a hot knife through butter. This is definitely a tool to have in your collection. Keeping everything within easy reach. Never lose your screws again. MagTray™ allows you to keep your loose screws close by, through a magnetic tray that stores them on your tool, allowing you to get your job done faster. One battery powering over 50 tools. 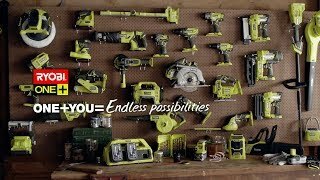 The RYOBI 18V ONE+ System has more than 50 tools that work with the same battery platform, giving you the ultimate versatility in tool selection to get your job done. You can get more done in less time and improve the performance of every RYOBI 18V tool ever made. No matter how you add it up, ONE+ is the one system that delivers more.